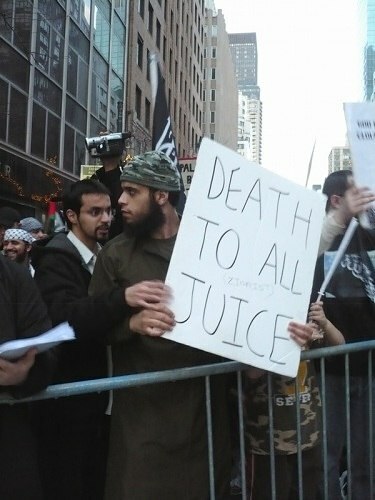 Defendant: Unnamed demonstrator representing the Religion of Peace. Count 1: Misspelling in the first degree. Count 3: Grammatical malfeasance committed during incitement to murder. Report: Defendant was demonstrating in New York, a vibrant and diverse city which unfortunately includes this guy. Fine: $622 and steerage on the first steamship back to Karachi.